Accepting card payments: Is your small business missing out on potential revenue? With digital card payment technology gathering pace – can you afford to miss out on the cashless revolution? We live in a world where the options for payment are multiplying all the time. 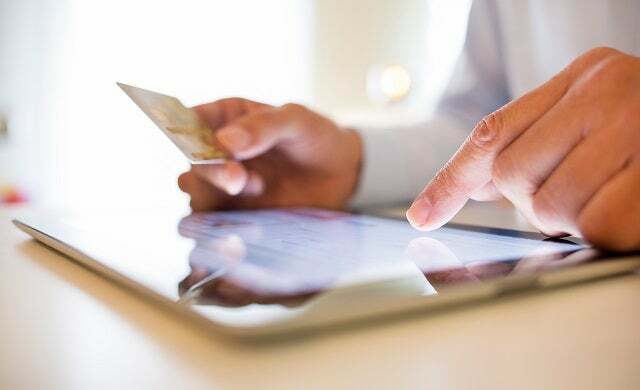 From online transactions, mobile payments and digital wallets to contactless technology, there’s a continuing revolution, both online and on the high street, as digital technology gathers pace. Now, the latest report finds that in Britain we are using less hard cash than ever. The British Retail Consortium’s (BRC) survey of payments made in 2013 particularly highlighted a switch made by consumers in recent years – with consumers increasingly using debit cards for smaller payments they would once have made in cash. While cash is still used in 53% of all transactions, it’s in long-term decline – a real problem if you are a small business which doesn’t accept cards. We now spend just £9.47 on average when we break out the hard cash from our wallets; down from £11.43 in 2009. Over the same period, the total value of cash taken by retailers, proportional to other payment methods, has fallen by some 14%. And the overall trend points to a landscape in which providing card payment options is more important than ever. Debit cards now account for 50% of all retail sales turnover, the BRC says, while they are used in virtually a third of all transactions; an increase of almost 8% in just a year. And while the average value of these fell, this represents consumers choosing to use debit cards over cash for smaller everyday payments, the BRC suggested; spearheaded by increased use of self-service tills in stores, and online purchases. Director general Helen Dickinson called the decline in cash payments “a milestone in the development of our digital economy,” adding that retailers were evolving to meet consumers’ digital demand – both in-store and online. Meanwhile, credit and charge card use fell between 2012 and 2013, but maintained a 21% share of retail turnover – reflecting their use for higher value transactions. The report covered 60% of all UK retail sales – some £321bn taken through the nation’s tills. However, the BRC also highlighted the growing cost to businesses of handling these payments – some £830m in 2013, up from £798m the previous year. It is now calling for a cap on card processing fees. Will consumers walk away if there’s no card payment option? As the use of plastic continues to gather pace, what does this mean for retailers who do not offer card payment options? According to a Barclaycard survey in February 2014, one in six consumers will walk away from a purchase if they are forced to pay in cash. Meanwhile, other research suggests that the vast majority will spend more per transaction when paying by debit or credit card, as opposed to cash. In addition to the simple consumer case that shoppers expect to be able to pay by card these days, there’s a range of other benefits to allowing transactions online or through card payment machines. These include improved cashflow and fewer security concerns around holding cash – and the need to provide change and watch out for counterfeit notes. Then there’s the time savings from fewer trips to the bank with your takings. So what are the options if you want to start taking card payments in your business? A retail environment probably just needs a static standard counter-top terminal. If you run a restaurant, you may need the flexibility of a portable handset – and if you are out and about taking payments, your business may require a fully mobile terminal. You may have settled on a credit card machine, but there’s a bold future in the fast-changing retail environment. Contactless payments – lightning-fast transactions using cards, but not your PIN – will likely continue to grow, as will the use of ‘digital wallets’; with phones and tablets used at the point of sale. Then there are the possibilities of mobile technology. Using smartphones, small businesses can avoid terminals altogether – simply pairing a card reader with the processing power of your mobile. Commissions are currently higher than with traditional terminals, but offer small businesses a flexible solution to cashflow and – cash handling – problems. Wherever we go, staying on top of the tech will let your business take advantage – so you can spend more time on delivering a great product or service to the people who matter.